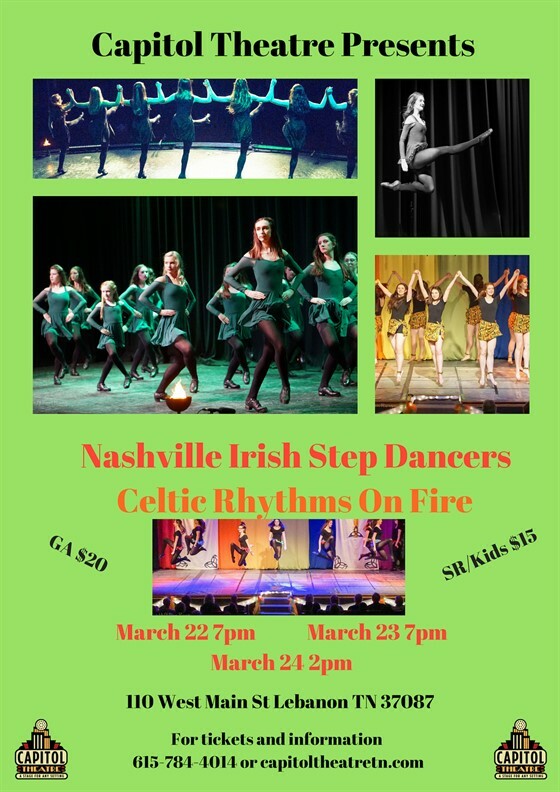 THE NASHVILLE IRISH STEP DANCERS (NISD), headed by Mary Moran, TCRG (Certified Irish Step Dance Teacher) is celebrating their 25TH Anniversary in business this year. Mary was a pioneer in establishing the first Irish Step Dance School here in Nashville in 1990, and has helped cultivate and promote her beloved Irish culture and art form. 25 years later she has expanded NISD into an award-winning, nationally recognized powerhouse boasting over one hundred members. Over the last decade our dancers have consistently ranked at the regional, national and World level of competition competing against the best dancers in the World. Appearing at events all across Music City, NISD dancers have performed at the following venues: Nashville Predator’s half-time show, Fan Fair, Fest De Ville, Summer Lights, “AM Nashville”, “Talk of the Town”, “Crook and Chase” and “Primetime Country”. They also have had the esteemed privilege of dancing alongside Celtic country music legends such as “The Chieftains”, Ric Blair and the Celts, Ricky Skaggs, Alison Krauss and Emmylou Harris. In addition, this year will be the Sixteenth year anniversary of performing on the GRAND OLE OPRY as part of their annual St. Patrick’s Day celebration. Despite all these remarkable achievements, however, the production of Celtic Rhythms on Fire remains the crown jewel of NISD’s history. Resonating with spectators of all ages and musical tastes, Celtic Rhythms on Fire features innovative Irish interpretations of a myriad of music, from country-rooted “Cotton-Eyed Joe” to the driving pop song “I Gotta Feeling” to African-inspired “Waka Waka.” In honor of NISD’s twenty-fifth anniversary, they plan to both revive fan favorites and introduce their latest cutting-edge number: a mashup of 2014’s greatest hits, including singles by Taylor Swift, Pharrell Williams and more. The Nashville Irish Step Dancers are thrilled to offer Music City such a spirited celebration of Irish culture. Don’t miss this marvelous experience! The popularity of Irish Dance has exploded in recent years, with growing numbers of dancers and fans the world over who love the art and sport of Irish Dance. Under the direction of Mary Moran, NISD has established a satellite school in Huntsville, Alabama under the direction of DeeAnna Heym. We welcome dancers of all levels of dance experience ranging in age from toddler to adult with aspirations ranging from recreation to competing at the world championship level.